Are you looking for a SWaM Micro certified business to work on your project? 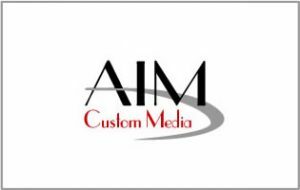 AIM Custom Media located in Glen Allen, Virginia, has a SWaM certification as a Micro business in the Commonwealth of Virginia. We are listed in the SWaM Vendor Directory. What is SWaM Certification in Virginia? The Small, Women-owned, and Minority-owned Business, SWaM certification program is a state program of the Commonwealth of Virginia. The purpose is to enhance procurement opportunities for SWaM businesses participating in state-funded projects. SWaM certification is assigned to qualifying small businesses from the Virginia Department of Minority Business Enterprise (DMBE). A SWaM certified business may be certified as a “micro business” if it has 25 or fewer employees and average annual gross receipts of $3 million or less (averaged over the previous three years). During 2006, Governor Timothy Kaine signed Executive Order No. 33 (2006) that focuses on enhancing business opportunities for small, women- and minority-owned (SWaM) businesses. Governor Kaine set forth a 40% goal of purchases from SWaMs for the Commonwealth and established a Small Business Set-Aside Program to enhance SWaM participation in procurement activities. During 2014, Governor McAuliffe signed Executive Order No. 20, replacing Executive Order No. 33, which continued and expanded the original initiative. Governor McAuliffe set a new target goal of 42% of discretionary expenditures, created the micro business designation and expanded the Set-Aside Program (SOURCE: Virginia Department of Small Business and Supplier Diversity). Do you have an upcoming project for a SWaM Micro certified company? If so, let’s talk. Call 804-201-0008. Posted in AIM Custom Media news, Business Consulting, Marketing.